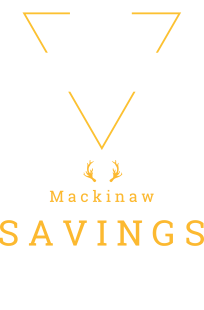 PLEASE READ THESE TERMS AND CONDITIONS OF USE BEFORE USING OR OBTAINING ANY MATERIALS, INFORMATION, PRODUCTS OR SERVICES THROUGH mackinawcity.com.  Mackinaw Area Visitors Bureau Inc, offers access to and use of our site to you subject to your acceptance of these information, products or services through our site, you agree to observe these Terms. If you do not accept all of these Terms, then please do not use our site. A. 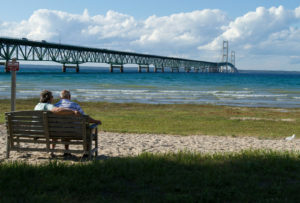 OWNERSHIP: The Mackinaw Area Visitors Bureau owns and operates mackinawcity.com along with our members. Members own and have copyrights on our site and all of its contents. You will not copy, reproduce, republish, upload, post, transmit, distribute, sell, transfer, or modify any of the content, data, information or materials found on our site, but you may download, display, and print (1) copy of the materials presented on our site on a single computer for your personal, non-commercial use. Trademarks, logos, and service marks displayed on our site ("Marks) are our, and our Providers, registered and common law Marks. You will not use any robot, spider, other automatic device, or manual process to monitor materials available through our site. To obtain permission to use any part of our site, you may obtain permission from the MAVB Executive Director. B. USE OF SITE: You may only purchase products and services on our site if you are at least 18 years of age and can enter into binding contracts (our products and services are not available for use by minors). You are responsible for maintaining the secrecy of login and account information. You may only use our site to make legitimate reservations or purchases. You may not use our site: to make any false, fraudulent or speculative reservation or any reservation in anticipation of demand; to post or transmit any unlawful, threatening, libelous, defamatory, obscene, indecent, inflammatory, pornographic, or profane material or any material that could constitute or encourage conduct that would be considered a criminal offense, give rise to civil liability, otherwise violate any law; or for any other purpose that is unlawful or prohibited by these Terms. We may, at any time and without advance notice or liability, terminate or restrict your access to all or any component of our site. We will use our reasonable commercial efforts to keep our site available on a 24-hour/7 day -a- week basis, subject to necessary, scheduled downtime for maintenance, unscheduled maintenance and system outages. Your access to our site may not be uninterrupted or available at all times. We cannot promise that our site will be error-free, that defects or errors will be corrected or that our site or the servers that make it available are free from viruses or other harmful components. You will not use any device, software or routine that interferes or attempts to interfere with the normal operation of our site or take any action that imposes an unreasonable load on our computer equipment. D. LINKS: Our site may contain links to other sites that we do not control. We are not responsible for these other sites. We provide these links for your reference and convenience. We do not endorse the contents of these other sites. You are free to access these other sites, but you do so at your own risk. You agree not to create a link from any Web site, including any site controlled by you, to our site without prior written permission from the Executive Director of the MAVB. E. WARRANTY DISCLAIMER: WE MAKE NO, AND OUR MEMBERS MAKE, NO WARRANTY OF ANY KIND REGARDING OUR SITE AND/OR ANY CONTENT, DATA, MATERIALS, INFORMATION, PRODUCTS, OR SERVICES PROVIDED ON OUR SITE, ALL OF WHICH ARE PROVIDED ON AN "AS IS" BASIS. WE EXPRESSLY DISCLAIM ANY REPRESENTATION OR WARRANTY THAT OUR SITE WILL BE ERROR-FREE, SECURE OR UNINTERRUPTED. WE FURTHER DISCLAIM ANY WARRANTY AS TO THE ACCURACY, COMPLETENESS AND TIMELINESS OF ANY CONTENT OR INFORMATION FOUND ON OUR SITE. WE EXPRESSLY DISCLAIM AND OUR MEMBERS EXPRESSLY DISCLAIM ALL WARRANTIES AND CONDITIONS, INCLUDING IMPLIED WARRANTIES AND CONDITIONS OF ,MERCHANTABILITY, FITNESS FOR A PARTICULAR PURPOSE, TITLE, NON-INFRINGEMENT, AND THOSE ARISING BY STATUTE OR OTHERWISE IN LAW OR FROM A COURSE OF DEALING OR USAGE OF TRADE. SOME STATES DO NOT ALLOW THE DISCLAIMER OF IMPLIED WARRANTIES, SO THIS WARRANTY DISCLAIMER MAY BE LIMITED IN ITS APPLICABILITY TO YOU. F. LIMITATION OF LIABILITY. WE WILL NOT BE, AND OUR MEMBERS WILL NOT BE, RESPONSIBLE OR LIABLE FOR (A) ANY DAMAGES TO OR VIRUSES THAT MAY INFECT YOUR COMPUTER EQUIPMENT OR OTHER PROPERTY AS THE RESULT OF YOUR ACCESS TO, USE OF OR BROWSING IN OUR SITE OR YOUR DOWNLOADING OF ANY CONTENT, INFORMATION, MATERIALS, DATA, TEXT, IMAGES, VIDEO, OR AUDIO FROM OUR SITE OR (B) ANY INJURY, LOSS, CLAIM, DAMAGE, OR ANY SPECIAL, EXEMPLARY, PUNITIVE, INDIRECT, INCIDENTAL OR CONSEQUENTIAL DAMAGES OF ANY KIND (INCLUDING WITHOUT LIMITATION LOST PROFITS OR LOST SAVINGS), WHETHER BASED IN CONTRACT, TORT, STRICT LIABILITY OR OTHERWISE, THAT ARISES OUT OF OR IS IN ANY WAY CONNECTED WITH (1) ANY USE OF OUR SITE OR CONTENT, DATA, MATERIALS, OR INFORMATION FOUND THEREIN, (2) ANY FAILURE OR DELAY (INCLUDING WITHOUT LIMITATION THE USE OF OR INABILITY TO USE ANY COMPONENT OF THIS SITE FOR RESERVATIONS OR TICKETING), OR (3) THE PERFORMANCE OR NON PERFORMANCE BY US OR ANY MEMBER, EVEN IF WE HAVE BEEN OR A MEMBER HAS BEEN ADVISED OF THE POSSIBILITY OF DAMAGES TO SUCH PARTIES OR ANY OTHER PARTY. This disclaimer of liability applies to any damages or injury caused by any failure of performance, error, omission, interruption, deletion, defect, delay in operation or transmission, computer virus, communication line failure, theft or destruction or unauthorized access to, alteration of, or use of record, whether for breach of contract, tortious behavior, negligence, or under any other cause of action. If, despite the limitation above, we are or a member is found liable for any loss or damage which arises out of or is in any way connected with any of the occurrences described in the limitation above, then our liability and the member’s liability will in no event exceed, in total, the sum of US $150. 00. Some states do not allow the limitation of liability, so the limitations above may not apply to you. G. INDEMNIFICATION. You will defend and indemnify us and any member and each of our officers, directors, employees, volunteers, and agents from and against any claim, cause of action or demand, including without limitation reasonable legal and accounting fees, brought by you or on your behalf in excess of the liability described above or by third parties as a result of your breach of these Terms or the documents made part of these Terms by reference, your violation of any law or the rights of a third party or use of our site. H. GENERAL. The headings in these Terms are for your convenience and reference. These headings do not limit or affect these Terms. Your acceptance of these Terms and use of our site do not create a joint venture, partnership, employment or agency relationship with us. You may not assign, delegate or transfer conspicuous notice on our site at least thirty (30) days before any modification becomes effective. Your continued use of our site, following the posting of conspicuous notice of any modification, will be subject to the Terms in effect at the time of use. You will review these Terms periodically. Your continued use of our site, following the posting of conspicuous notice of any modification, will be your acceptance of the modified Terms. Except as described in the preceding sentences, you and we can only modify these Terms in a written document signed or otherwise accepted by you and by us. Other terms and conditions may apply to your reservations., bookings and purchases of travel services through our site and to your use of other portions of our site. You will observe these other terms and conditions. If we fail to act with respect to your breach or anyone else’s breach on any occasion, we are not waiving our right to act with respect to future or similar breaches. If a court finds any of these Terms to be unenforceable or invalid, that Term will be enforced to the fullest extent permitted by applicable law and other Terms will remain valid and enforceable. These terms, together with those items made a part of these terms by reference, make up the entire agreement between us relating to your use of our site, and replaces any prior understanding or agreements (whether oral or written) regarding your use of our site. The laws of the State of Michigan (USA), without regard to its conflict of laws rules, will govern these terms and conditions, as well as your and our observance of them. If you take any legal action relating to your use and our site or these Terms, you agree to file such action only in the state and federal courts located in Cheboygan County, Michigan (USA). In any such action or any action we may initiate, the prevailing party will be enticed to recover all legal expenses incurred in connection with the action, including but not limited to costs, both taxable and non-taxable, and reasonable attorneys’ fees. Press and Media text, photo, graphic, audio, and/or video material shall not be published, broadcast, rewritten for broadcast or publication or redistributed directly or indirectly in any medium. Neither these materials nor any portion thereof may be stored in a computer except for personal and noncommercial use. MAVB will not be held liable in any way to the User or to any third party or to any other person who may receive information in the Service or to any other person whatsoever, for any delays, inaccuracies, errors or omissions therefrom or in the transmission or delivery of all or any part thereof or for any damages arising from any of the foregoing or occasioned thereby. Corporate, governmental and institutional Users may use portions of the Press & Media Service for internal printed communications and memoranda. Neither MAVB nor its Members make any promises or guarantees as to the accuracy, completeness, or adequacy of any information on this site, and MAVB expressly disclaims liability for any errors and omissions. Any further discussion needed regarding Terms & Conditions, please contact MAVB Customer Service at 800-750-0160.